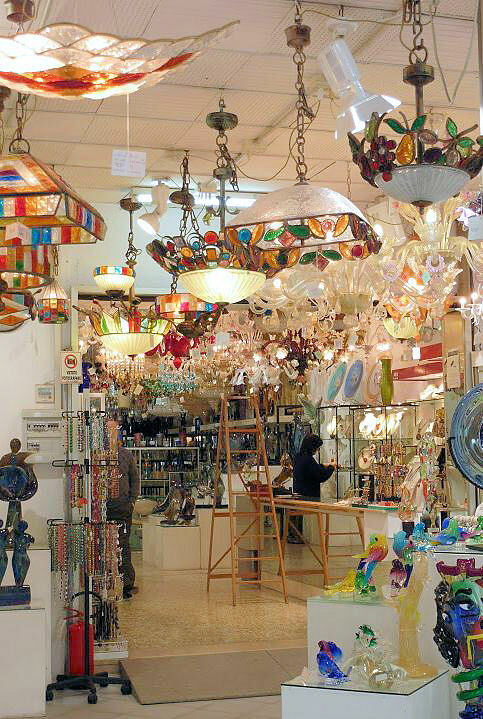 Online glass shop Sama Ornaments with wonderful prices, worldwide shipping, secure payment system, lovely objects. So many sites spend paragraphs detailing the history of how glass came to be made on the Venetian island of Murano, assuming that you know why this would be of interest. I'd rather wow you with the glass products made there and leave you to read about the history elsewhere, if you're interested. There are modern lamps too! 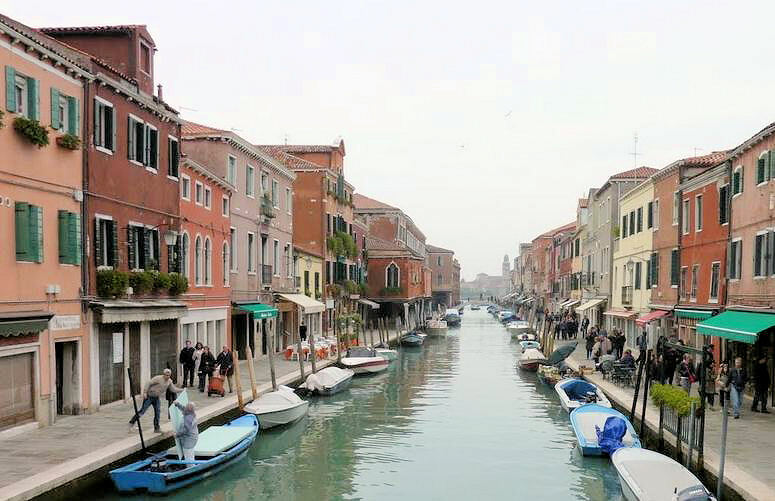 The island of Murano is a 15 minute boat ride (vaporetto, boat-bus) from Venice. The island is dotted with shops like this one. And you can visit factories and see a demonstration of glass making. The town is built like Venice, on mud-flats. The buildings run along canals. Some of the companies let you order on-line. Sama Ornaments ships beautiful mouth-blown glass objects around the world for very reasonable prices, with a secure payment system. Here are just a few of their lovely items, including copies of antique animal perfume bottles. Click through to the shop to drool for a while over all the goodies.